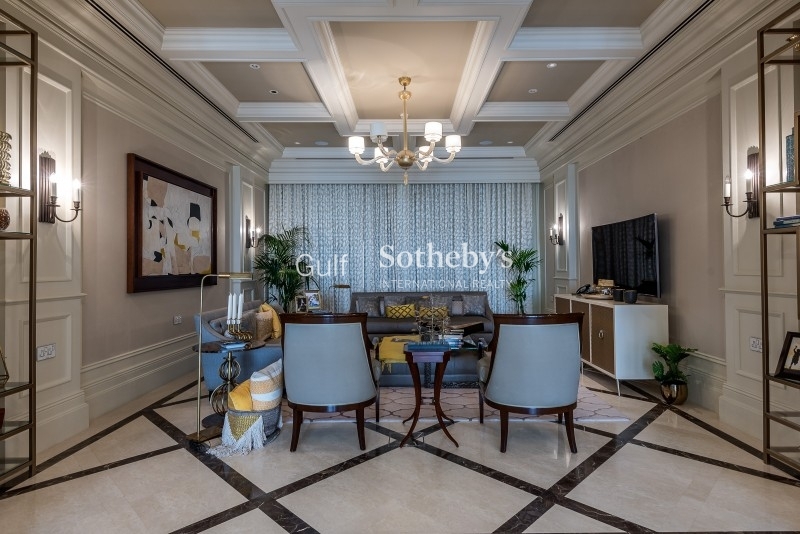 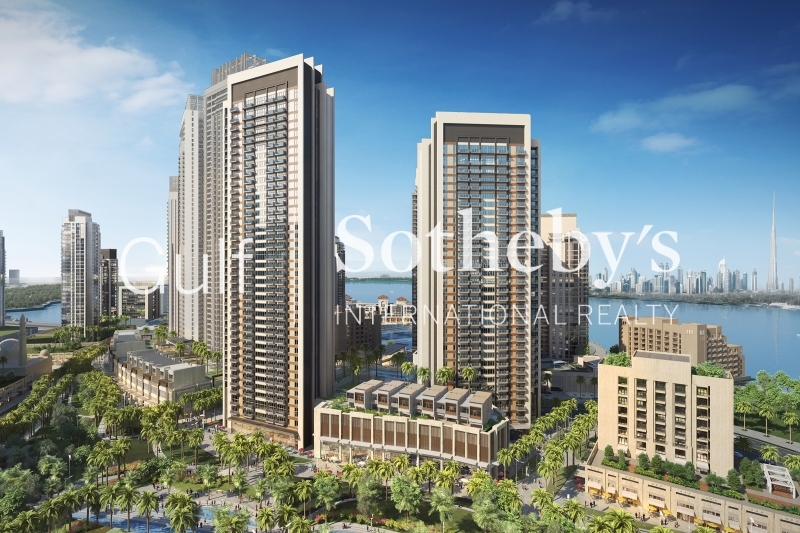 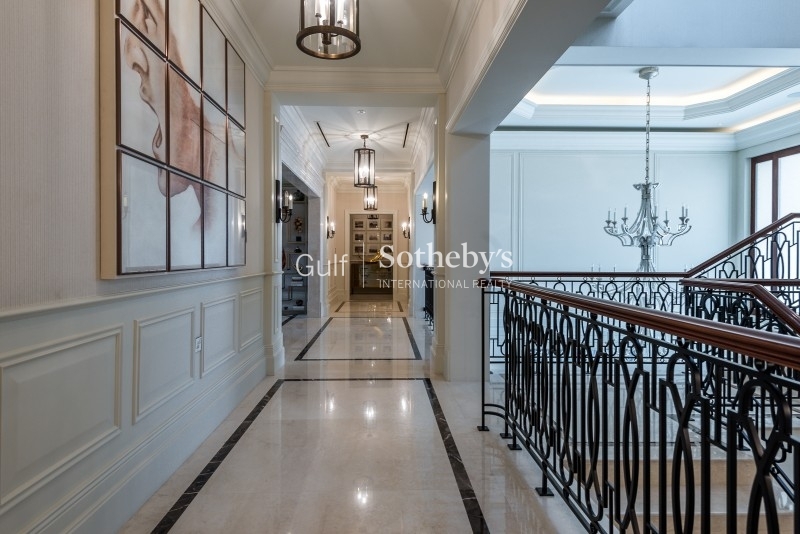 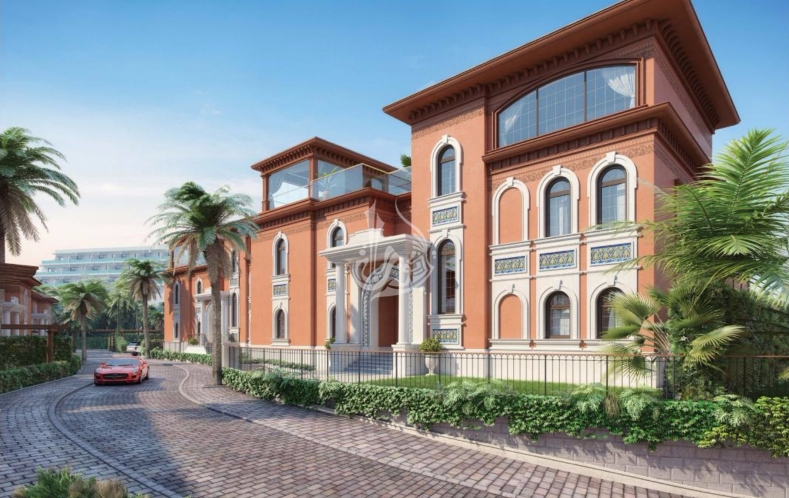 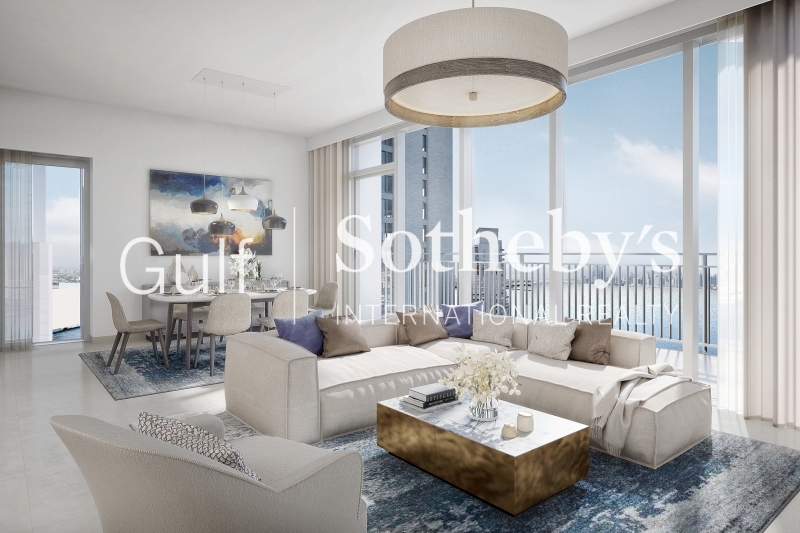 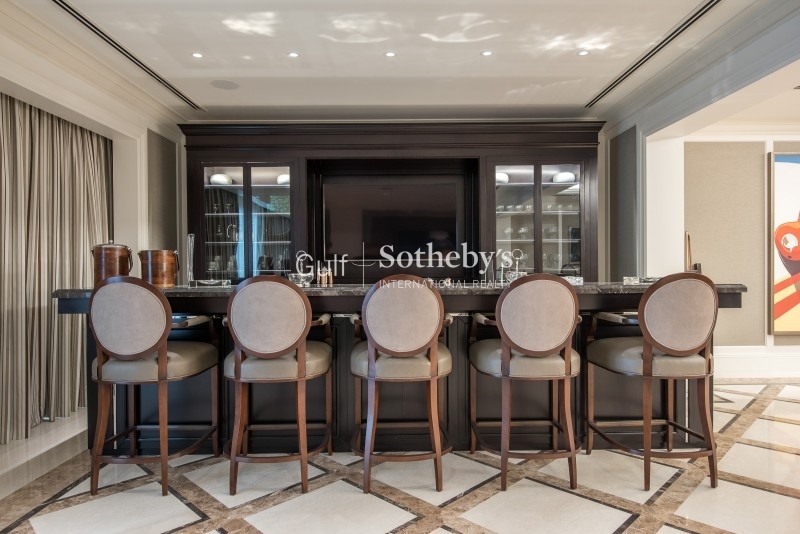 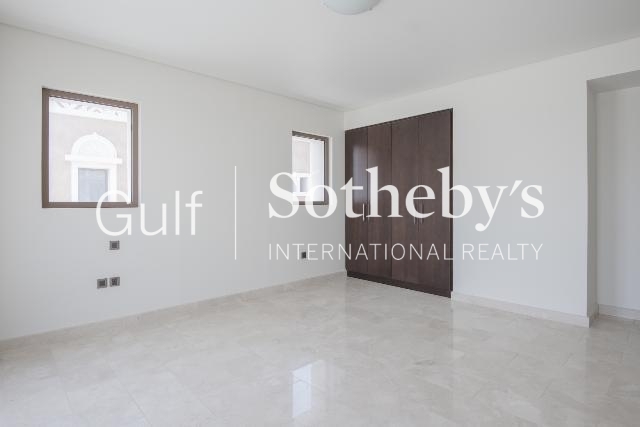 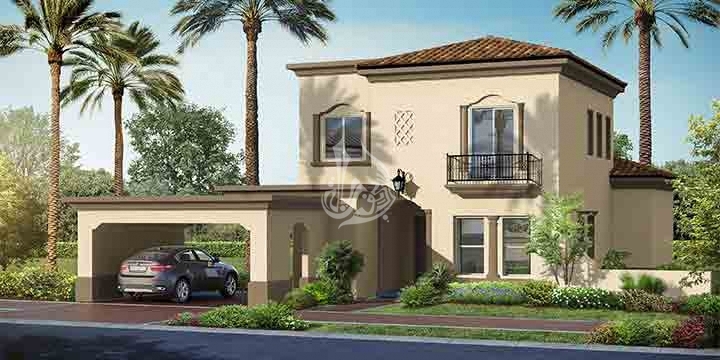 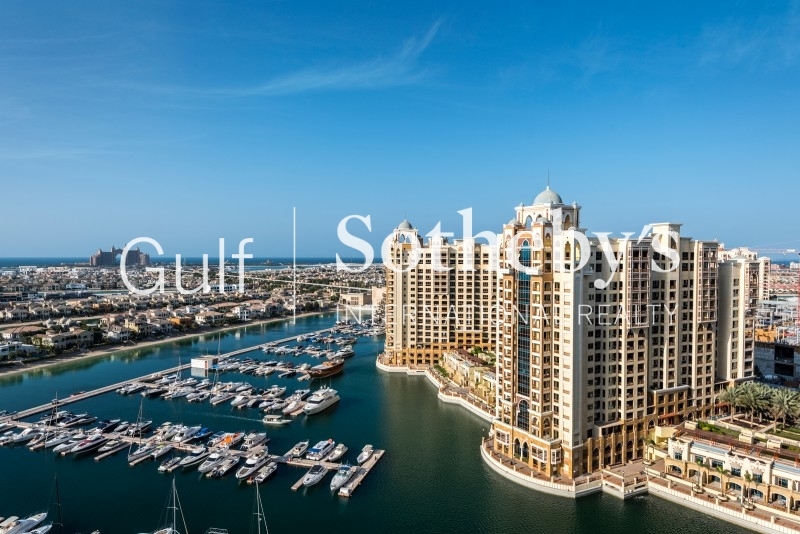 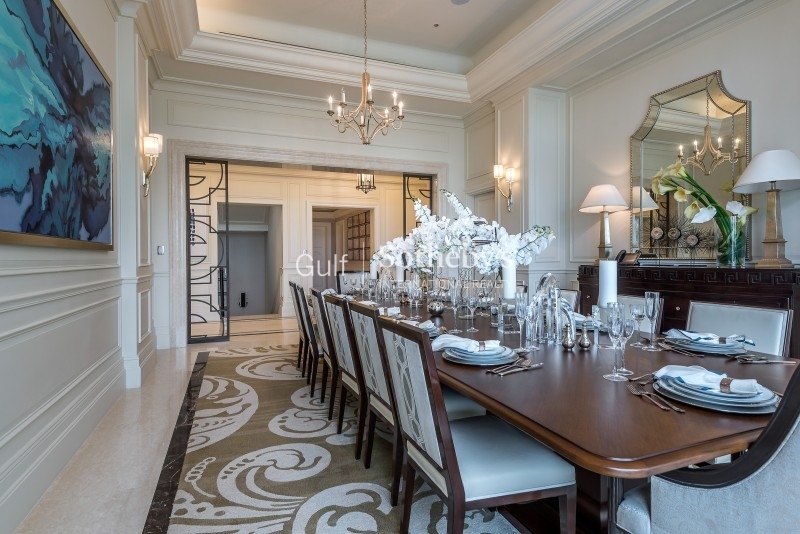 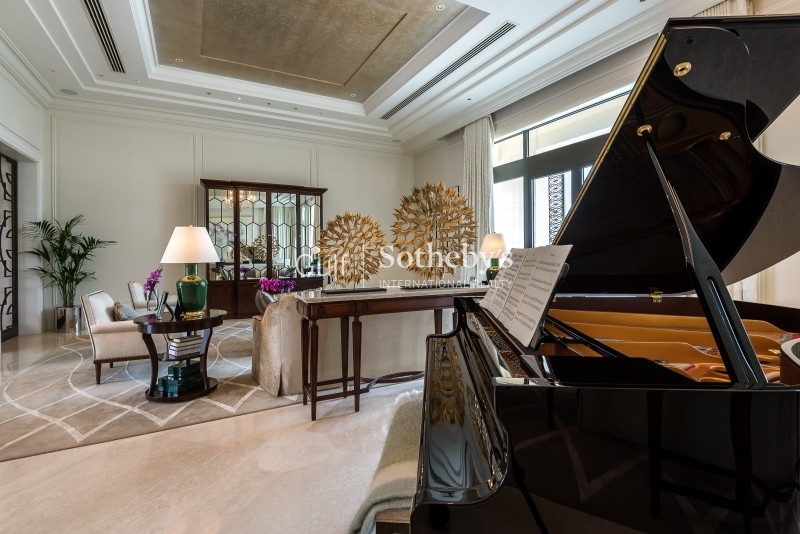 Gulf Sotheby'S International Realty Is Pleased To Offer You This Beautifully Finished Contemporary Arabesque Mansion In The Prestigious Development Of Dubai Hills. 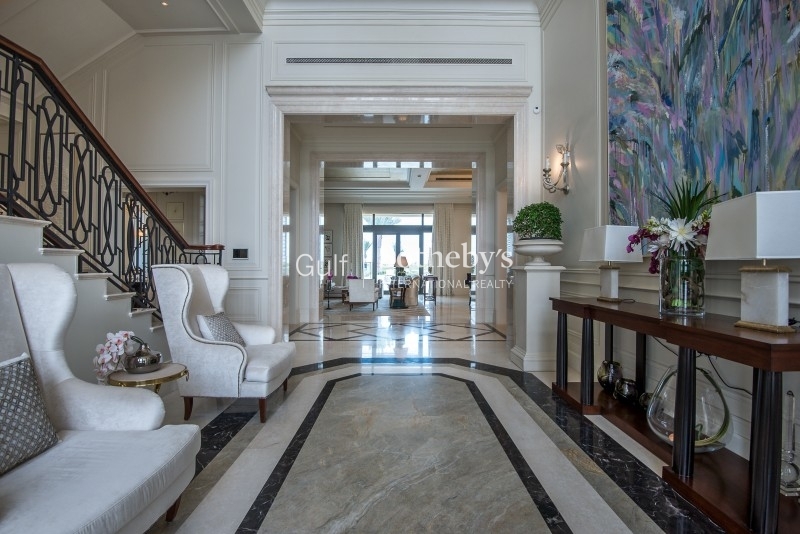 Standing On A Plot In Excess Of 39,000 Sq. 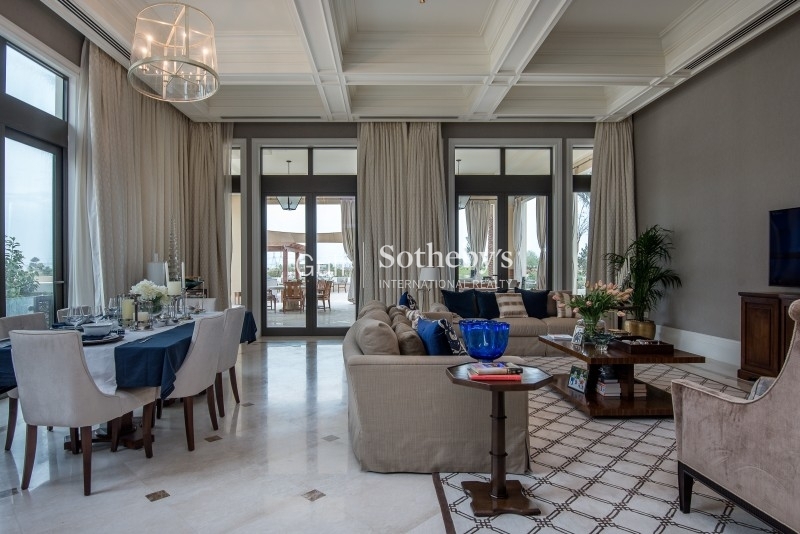 Ft., This Seven-Bedrooms, 9 Bathroom Villa Affords Some Of The Best Views Towards Downton And A Full Golf Course Frontage. 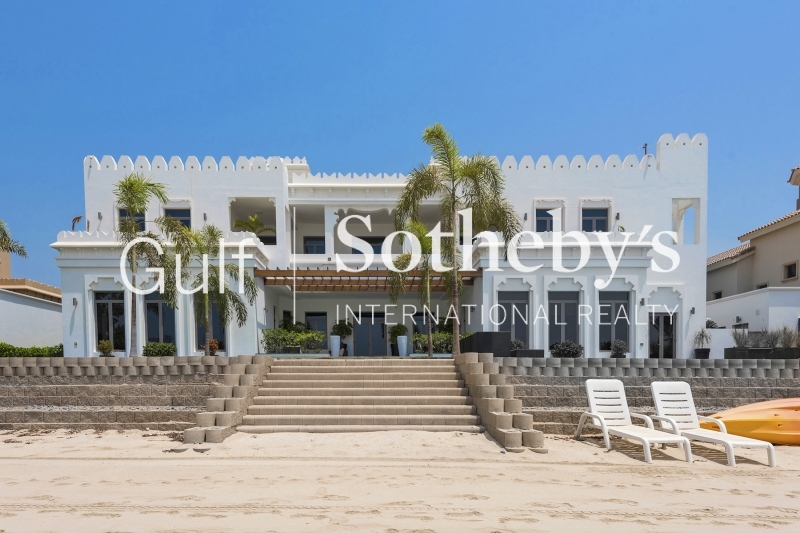 The Ground Floor Of The Villa Comprises Of 2 Large Family Rooms, An Office, Formal Dining, Ground Floor Guest Suite, Family Kitchen And Breakfast Room And Back Kitchen And Staff Room With Laundry. 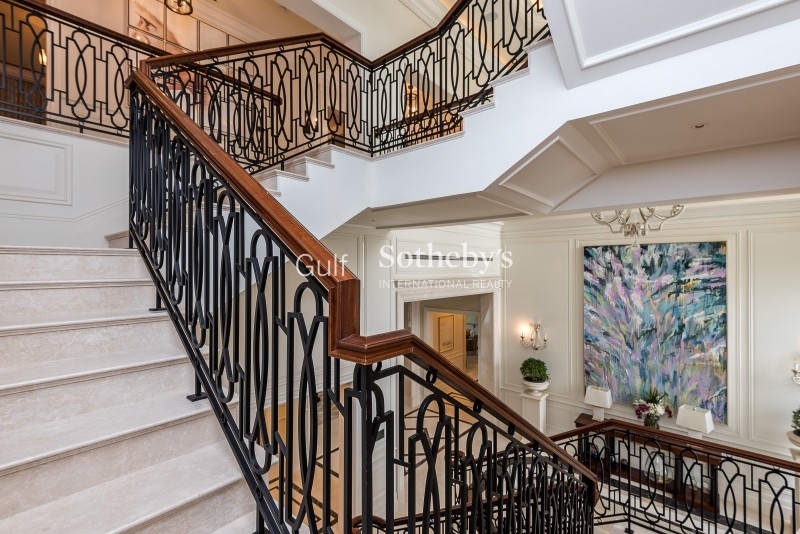 Rising To The First Floor By Stairs Or The Private Lift There Are 5 Further Double Suites, Family Room, And An Oversize Master With His And Hers Bathrooms And Walk-In Closets. 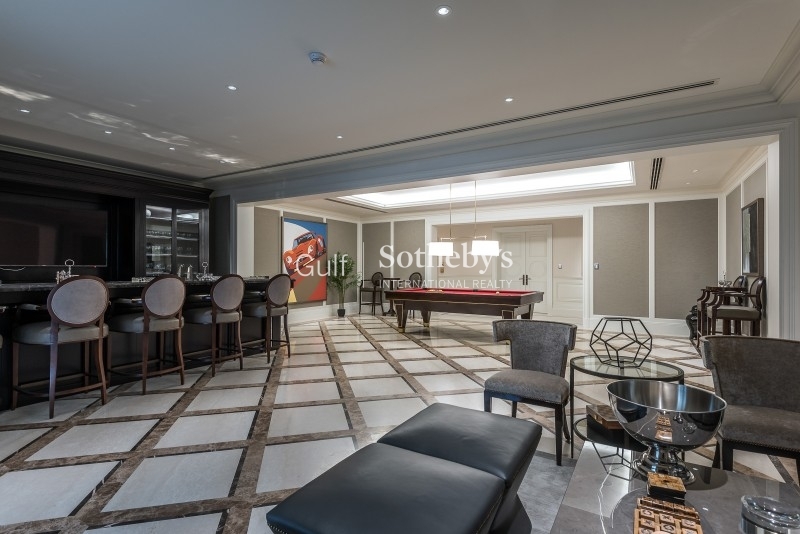 The Basement Area Is Simply Amazing With Cinema Room, Large Open Bar Entertainment Area And Full Spa With Sauna, And Massage Room. 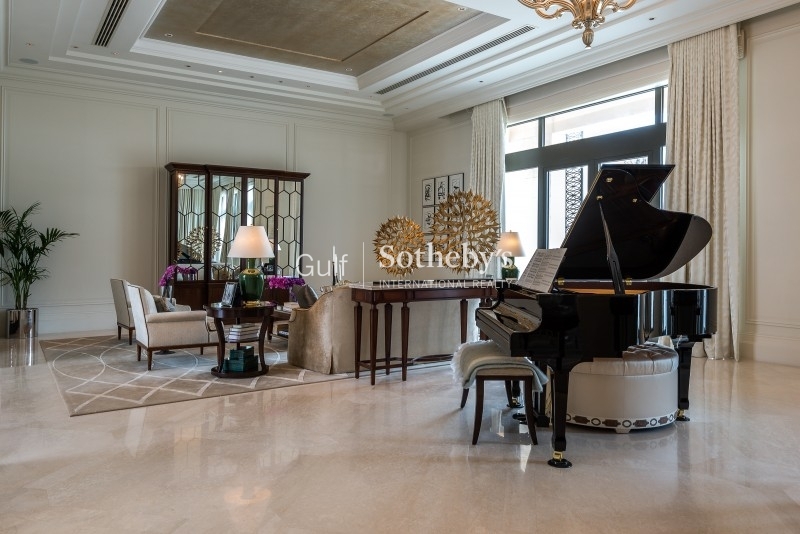 There Is Also A Private Roof Terrace And Gymnasium With Entertainment Space, Jacuzzi, External Massage Suite And Sublime Views. 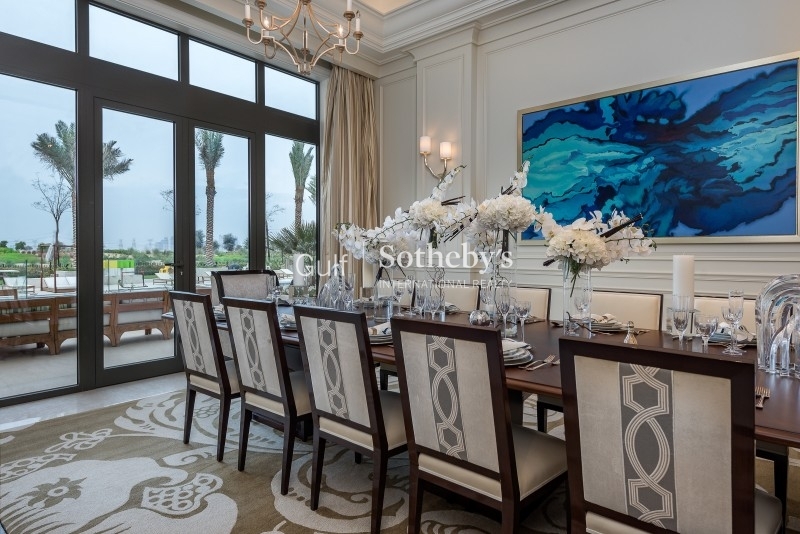 The External Areas And Gardens Are Beautiful With A Central Courtyard, Sunken Garden And Creatively Designed Gardens And Barbecue Areas With Views Of The Golf Course And Downtown. 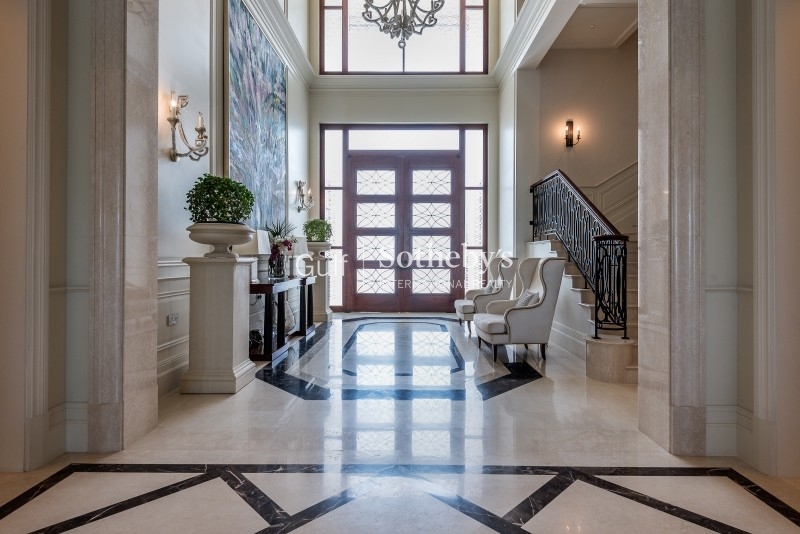 Completing This Home Is A Private Garage For 8 Cars And An In And Out The Private Driveway.